I've broken smashed my own mould. Previously, an unashamed fan of a plain black (*safe) ankle boot, now the proud owner of these game changers....'End It On This'...the name of my new and very favourite AW boots. Worn here with cropped flares and a neck scarf...AW15 I'm coming to get you. 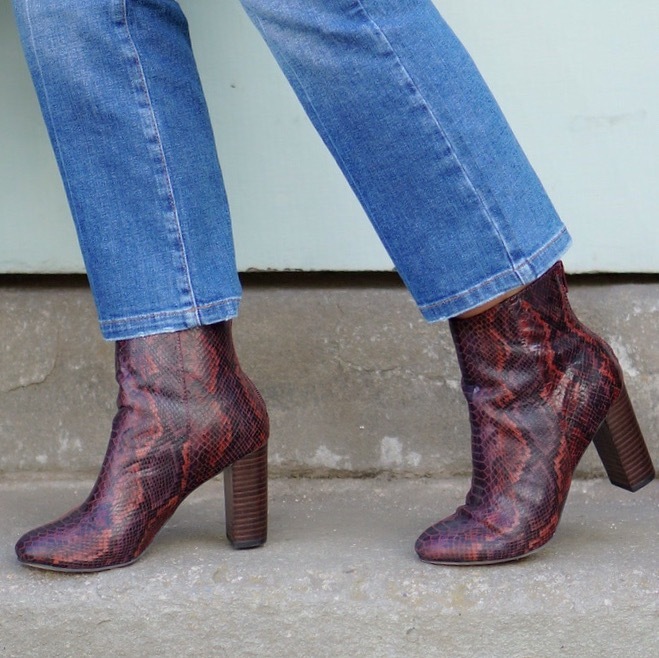 Typically, the boots have sold out, I'm not surprised...Everyone who is anyone is investing in some snake print action at the moment thanks to the likes of Isabel Marant and Chloe making them highly covetable...On trend, insanely comfy and a bargain. Not to despair, there are similar here and here. I do (keeping it real) have the black ones of these on a next day, grab them here. 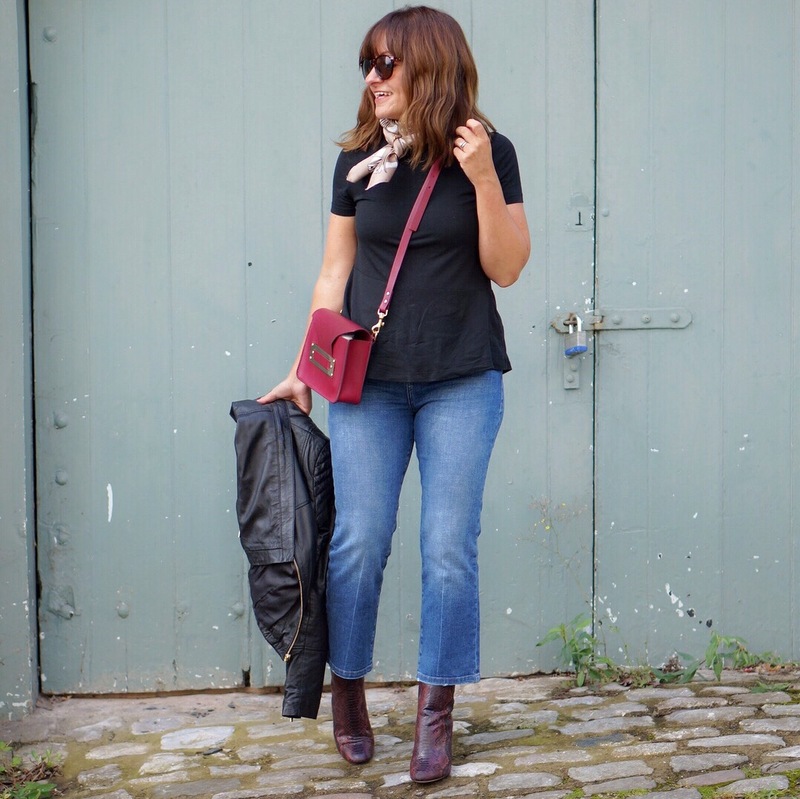 The jeans are generous, they kind of grew whilst I was wearing them too, so I'd recommend going down a size..No dramas, they'll be perfect for Sunday lunching - get them here (showing as £5!!!) and here in petite. The bag is well worth the investment, I believe this will be the second (quite possibly third) AW season it's making an appearance...cost per wear very much justified - get similar here in tan. The (unflattering) black tee was a sale buy from Whistles, buy similar here (that's hopefully more flattering). The scarf has been knocking around in the walk-in for a few months, you may recall it featured tied to a bag a couple of times, in fact, it's likely this is the first on-body wear...I can't find anything similar to link HOWEVER, this one has just made it on the birthday list.